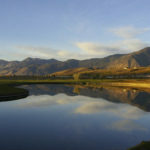 Carson Valley offers amazing golfing opportunities, but the Sunridge Golf Course is one of the best. The Sunridge Golf Course has unique topography, elevated tees and sloping fairways. 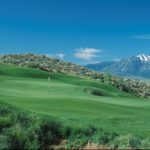 This 7,000 yard, par 72 championship golf course winds through the breathtaking vistas of the Carson Valley. Sunridge Golf Club is seated comfortably amid the Carson Valley, a convenient drive away for both Lake Tahoe golf and Reno golf lovers alike. 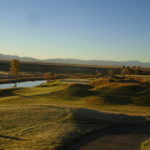 In fact, with the support of those two communities, this Carson City golf course regularly ranks among the most popular tee times in the state. The natural beauty at Sunridge Golf Club is the real star of the show, featuring postcard views on nearly every hole. This is a must-play Nevada golf course. Sunridge proudly announces new owner Dan Oster, a Carson City born businessman and UNR grad! Sunridge has new course maintenance equipment in place, the course is in great condition, and this Spring the greens have been unofficially called the ‘best in the valley’ by local players! Sunridge staff focuses on golf and family recreation, with additional family events planned for the summer season. In line with additional Recreation, Sundays are planned as Family Days, with Bounce Houses and activities for the kids. Staff just welcomed 50 new Yamaha gas golf carts for the 2018 season….powerful and sleek, a great fleet addition Sunridge golfers. The Driving Range is getting ready for summer practice with new mats & range balls too.